Many remember me and of course the new members don't. I've been away living at a therapy center and building my cognitive skills. You can see the fruits of my labor at non sports showcase. I've been building models for fine hand motor skills and have been enjoying this. Please take a look! I have collected a few cards here and there, below you can see the fruits of my labor. 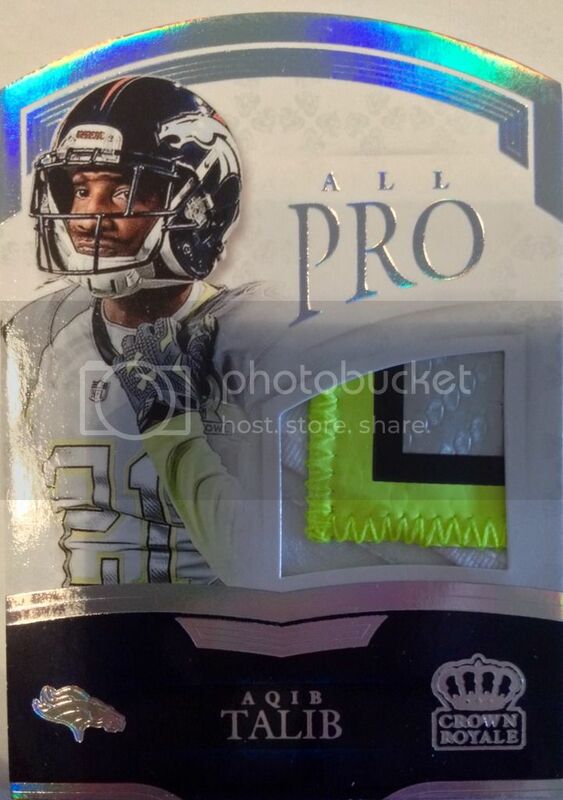 What I pulled was a Aquib Talib Crown Royale four color patch numbered 20/25. Plus it's a die cut. I'm very excited about this card as this is one of my first pulls getting back into the hobby. I hope to get more pulls to share with you my brothers and sisters! Sorry forum members, wrong card above. 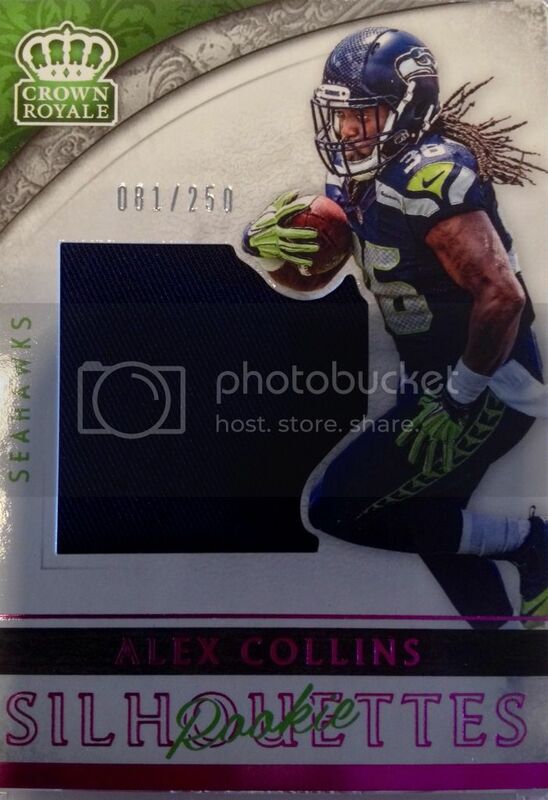 Here is the Aquib Talib Four color patch card numbered 20/25. Hey Toshi, Glad you're back! It's good to be back. Great to hear from you!